This post was originally published on The Semi-presidential One. Here is a list of presidential, semi-presidential, parliamentary, and other regimes. The two basic definitional criteria are the method of selection of the head of state and whether or not the cabinet is responsible to the legislature. The countries are classed taxonomically on the basis of their current constitution. The definitions are not designed to capture political practice. They are designed to capture constitutional rules in a way that distinguishes reliably between different constitutional forms. I welcome corrections and comments. 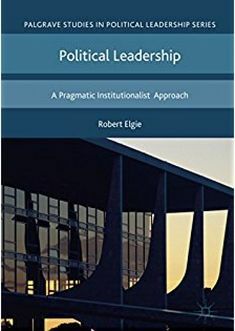 This entry was posted in Presidentialism and parliamentarism, Semi-presidentialism and tagged parliamentarism, presidentialism, Semi-presidential system on August 4, 2014 by Robert Elgie. The South African president can be removed by the National Assembly at will. (1) If the National Assembly, by a vote supported by a majority of its members, passes a motion of no confidence in the Cabinet excluding the President, the President must reconstitute the Cabinet. (2) If the National Assembly, by a vote supported by a majority of its members, passes a motion of no confidence in the President, the President and the other members of the Cabinet and any Deputy Ministers must resign. There’s a separate process of removal for cause by supermajority. Zambia and Gambia are both presidential, they have ‘censure’ which is only on 2/3 majority and in Gambia only on certain grounds – so this is more like impeachment. Zimbabwe and South Sudan are also presidential. Switzerland and the other ‘parliamentary’ under that list should be called ‘assembly-independent’ (Shugart & Carey 1992). Monaco is a parliamentary (M), while San Marino is parliamentary (R). Thanks JD for the comments. Most corrections made. I think that South Sudan is still officially a transitional constitution, but certainly with a presidential form. I think also that Zambian and Gambian presidentialism is different from typical presidentialism with no collective only individual accountability, hence the separate categories. Happy to continue the exchange. Glad to help. Could you explain what you mean by ‘individual presidential accountability’ to the legislature? That would sound to me like the legislature can remove the president through a non-confidence vote, but I don’t think you mean that, nor am I aware of that being the case in Zambia and Gambia. That is what I mean. In other words, some process other than, for example, impeachment for criminal reasons etc. I will check the constitutions you mention. To the best of my knowledge, the only country that has ever had a directly-elected executive that was subject to parliamentary confidence was Israel from 1996 to 2001; Samuels and Shugart (2010) call this format ‘elected prime ministerial’. Thanks. This list only covers contemporary regimes. So, the Israeli example is not included. It was certainly unique, though obviously that particular reform did not affect the position of the president who remained indirectly elected for a fixed term. My point was not that you should include Israel at elected PM. My point was that Israel was the only system where the president (named “prime minister”) was responsible to parliament. Zambia and Gambia are simply presidential. The president can only be removed by a special procedure requiring a supermajority. Nepal has settled on parliamentary. 1. Pure parliamentary system – whereby the roles of head of state and head of govt are separate, head of state is indirectly elected or unelected and cabinet is solely responsible to legislature. 2. Semi parliamentary system – whereby the roles of head of state and head of govt are separate, head of state is indirectly elected or unelected and cabinet is responsible to both legislature and head of state. 5. Direct presidential system – whereby roles of head of state and head of govt are unified and head of state is directly elected. 6. Indirect presidential system – whereby roles of head of state and head of govt are unified and head of state is indirectly elected (or even unelected). Thanks and I hope Robert and others can pass me feedback which will be welcome. Thanks for the suggestions. The schema looks interesting in that it is based on constitutional criteria and not behavioural practice. The effect, though, will be to include republics and monarchies in the same categories. Isn’t that right? Does that seem intuitive? Anyway, thank you again. Pure Parliamentary Republics can have directly-elected Presidents like Singapore, and Ireland. Oh, since I mentioned Ireland. It’s Parliamentary. The Taioseach and his cabinet is the one who exercises real executive power, not the president. The President only have nominal executive powers like Queen Elizabeth which can only be exercised with a binding advice from the Taioseach but such can also be denied as part of his reserved personal powers which are also nominal. Singapore is not a Presidential Republic. It’s a Parliamentary one! Also, to classify whether a country is presidential or not is not through identifying if a president is directly elected but by identifying it if it is the sole person who exercises executive power with assistance of his cabinet. Also, not because its head of cabinet or presidential assistant is called prime minister and members of cabinet are called ministers means it is semi-presidential or even parliamentary. Also, Switzerland is a Directorial Republic where the Federal Council is the collective head of state and government which is not responsible towards parliament as parliament cannot summon it through question periods but it is true that the Federal Council is elected by parliament. Finland, Austria, Ireland, and Iceland are Parliamentary Republics. Their Presidents are Head of State only and ceremonial. Just so you know so you can correct it. Thanks! Please note that we are working with the definition of regimes as per the Glossary in the header to the blog, whereby a mix of a directly elected president and a PM and cabinet responsible to the legislature means that a country is classed as semi-presidential. In other words, you are right that Finland, Austria, Ireland and Iceland have largely ceremonial heads of state, as do Slovenia, Macedonia, etc., but they are nonetheless semi-presidential because the power of the president is not a component part of how a regime is defined. This is the standard way of defining regimes now. I would put Myanmar in the assembly-independent category along with Switzerland. Also San Marino is parliamentary, the two ‘captains’ are purely ceremonial. I’m curious as to why you’re not dividing semi-presidential between premier-presidential and president-parliamentary? you have helped me alot you people. i have an assignment which is giving me headaches. the question is about “to show why african countries and many third world countries are neither presidential nor parliamentary systems of government.” i need help in point form. I believe that Zambia has recently amended its Constitution (see http://www.constitutionnet.org/vl/item/constitution-zambia-amendment-act-2015-5-january-2016) and, as a result, 2/3 of the vote is now needed to ‘censure’ a minister. Also, you may want to add Colombia to that category (see Article 135), if you consider that still presidential. I think it can be once again classified as sp. Kyrgyzstan is now a parliamentary system as of 2010. Although the president’s position remain powerful relative to the presidents in other parliamentary systems.